The Xterra is back! 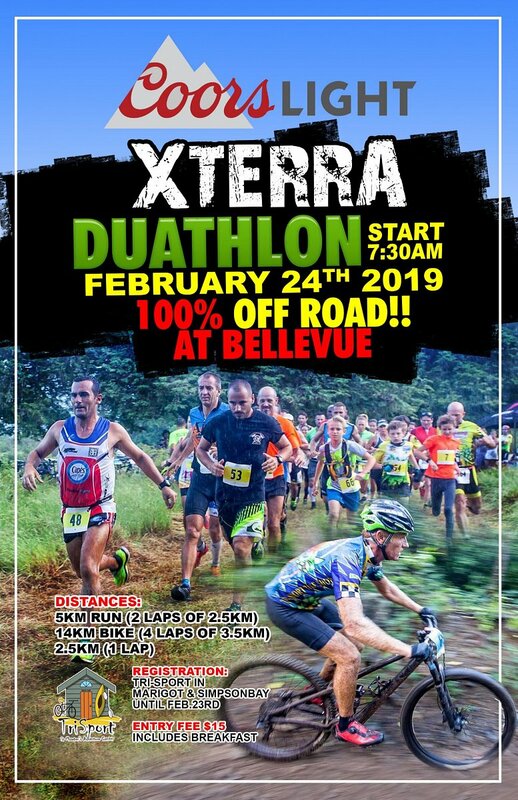 Trail Run a beautiful new 4km route then grab your mountain bike or tag your team mate to ride a 14Km, easy peasy off road course inside of Bellevue, followed by a 2Km Run to finish off. Register at Tri-Sport in Simpsonbay or Marigot from February 18th to the 23rd. Categories: Individual Men, Women and Juniors, Team Men, Team Mixed, Team Women and Team Juniors. For more info call 1(721)545-4384 or 0590-870891.